Ford Delaney has always wanted nothing more than to escape his past. An opportunity of a lifetime. This is what Andi finds when she returns home to Callaway Cove on summer break. A chance to work for her literary idol Ford Delaney is up for grabs, and she’s willing to risk everything—her boyfriend, her best friends, and her education—to get it. She’s positive this will be the key to reaching her dreams. But the moment she begins working for the reclusive author, Andi realizes there’s more to him than just a name. As attraction builds between Andi and Ford, she begins to discover consequences must come hand-in-hand with something great—which could loosen control over her tightly wound life. And once romantic sparks fly, Andi's other relationships start to crumble, Ford’s fame comes back to haunt him, and the heat they generate will either forge a powerful, enduring love or threaten everything she holds dear. In this romance, Rion delivers drama and sexual tension without graphic love scenes. 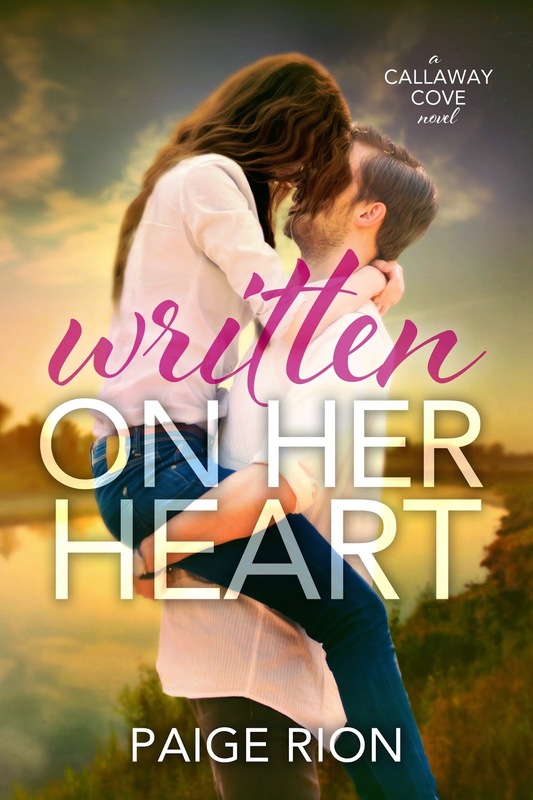 Written On Her Heart will delight romance fans of new adult, young adult, and contemporary romance readers, alike. Exciting NEWS: Nello's Sauce Mombassador!